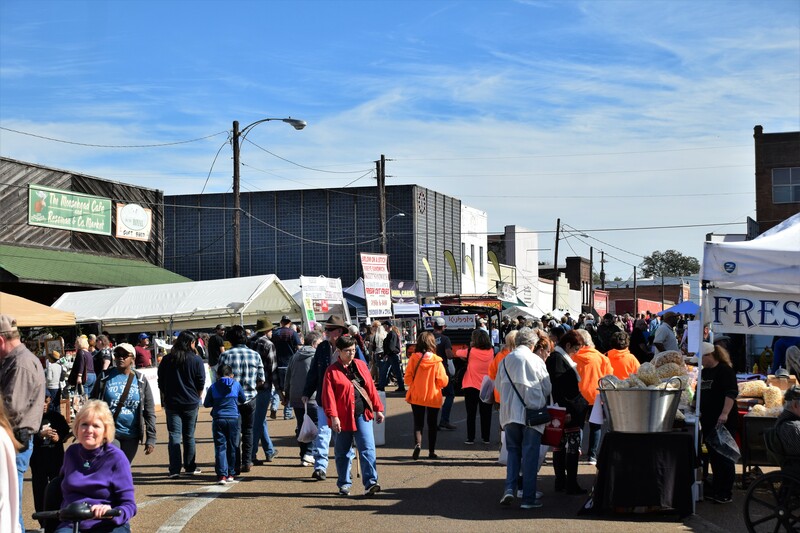 CROCKETT – The 2018 version of the annual Christmas in Crockett event went off without a hitch this past Saturday, Nov. 17 as weather didn’t factor into the event, like it has done so many times. It was cool, but not cold, and sunny for most of the Saturday showcase. 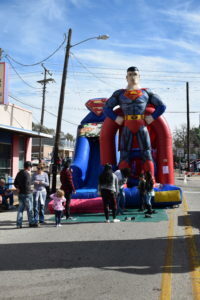 The air was filled with the smells of kettle corn, roasting turkey legs, fried delicacies and homemade root beer as visitors from all over East Texas strolled the streets surrounding the courthouse square. 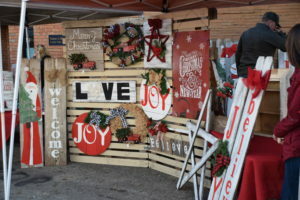 Vendors plied their wares with everything from wooden roses, soy candles and mushroom growing kits to clothing, leather goods and bird houses, along with everything in between. 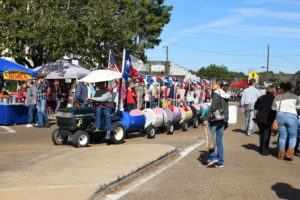 With over 200 arts and crafts booths, along with food vendors and kids’ activities, the initial registration indicated one of the bigger turnouts for the annual event. Unfortunately, as the threat of rain persisted and given the history of last year, several of the vendors decided not to brave the elements. Several of the festival goers and vendors commented the crowds seemed bigger than normal during the early hours of the event and they expected even more people during the early afternoon. Another one of the vendors in attendance was Rudy Garza. He said the weather was perfect and helped draw out the crowds. “This is the 19th year in a row we’ve been here. The weather is great this year but a few years back it was snowing.. This is typical East Texas weather. If you don’t like it, hang around a bit. It’ll change,” he laughed. “We started coming here a long time ago and while we’d like to have a little more business, you know, this just goes with the territory. A couple of weeks ago we were at another show and it was hot and humid,” Garza said. Plans are already underway for the 2019 event. For more information, please contact the Crockett Area Chamber of Commerce at 936-544-2359.